High blood pressure (also known as hypertension) is the medical term for when the force of blood against your blood vessel walls is too high. We know that using medication to lower high blood pressure can prevent heart attacks and strokes. But healthcare professionals often worry that prescriptions for lowering high blood pressure can sometimes lower it too much. This can put you at risk for becoming dizzy and falling. Falls are a serious problem in older adults. In 2014, falls caused 2.8 million emergency room visits, 800,000 hospitalizations, and 27,000 deaths, and cost Medicare an estimated $31.3 billion. Although some healthcare experts suspect that taking high blood pressure medication over time is linked to falls and fractures, very little research supports that belief. In fact, at least two major studies examining blood pressure reduction did not find an increased risk for falls among people taking medication to reduce high blood pressure. Other studies have not shown an increase in fracture risk for people taking medication for high blood pressure—in fact, some studies suggest that high blood pressure medicines may actually reduce the risk for fractures. Vision impairment and blindness affect one in 11 Americans age 65 and older. Because our population is aging, the number of older adults with vision problems is predicted to rise. Older adults who have impaired vision may be at risk for decreased independence, poorer well-being, and an increased risk of falls. For example, in any given year, approximately 30 percent of adults over age 65 will fall. Having impaired vision more than doubles this risk. For older adults, falls are a major cause of illness and death. Even having a fear of falling is a challenge that can limit activity and worsen quality of life and independence as you age. However, we don’t have much information on how often visually impaired older adults experience a fall, and we have even less information about what happens to them after a fall. A team of researchers suggested that we need this information in order to understand the scope of the problem and create ways to prevent falls in visually impaired older adults. Does Having Muscle Weakness and Obesity Lead to Falls for Older Women? Studies describing the effects of weight loss on health rarely consider age. However, weight loss during middle age likely has different effects on your health than does weight loss when you’re 65-years-old or older—especially when you’re older than 85. Falls are the leading cause of illness and death among Americans aged 65 and older. In 2014, some 2.8 million older adults visited the emergency department (ED) for a fall-related injury. And over time, the ED visit rate for falls among older adults has grown to 68.8 per 1,000 older adults (as of 2010). Older adults who visit the ED for a fall are at high risk for both revisiting the ED and dying. In fact, some estimates show that 25 percent of older adults visiting the ED for a fall returned for at least one additional fall-related visit. Fifteen percent of those older adults died within the following year. Because so many older adults visit an ED due to falls, many experts see an opportunity for EDs to play a role in reducing future falls among older adults who are at high risk. 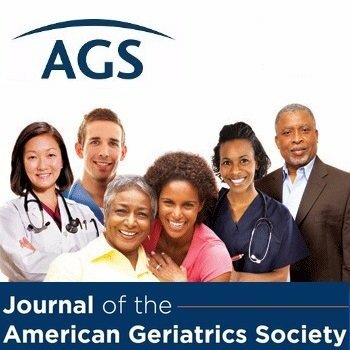 In a new study, published in the Journal of the American Geriatrics Society, researchers explored whether older adults who received physical therapy (PT) services while in the ED for a fall experienced fewer fall-related repeat visits to the ED.